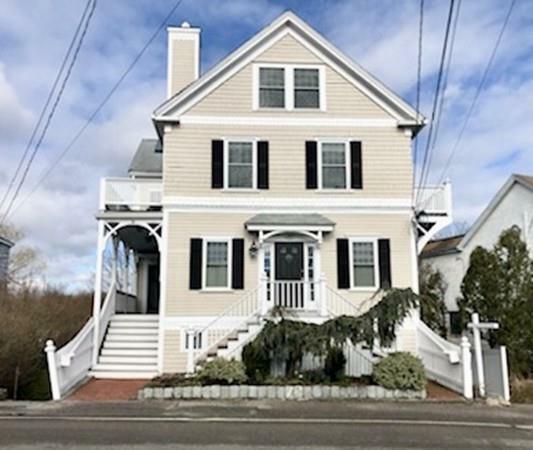 Charming Cohasset Harbor Condo In A Gingerbread Victorian Building. Beautiful Views Of Cohasset Harbor And The Tidal Marsh. Great Price Point For This Fabulous In-town Location. Just Steps To Cohasset Village Restaurants, Shops & The Town Common. This Adorable Unit Has Been Totally Remodeled And Is Filled With Natural Light. Newer Kitchen Thoughtfully Planned With Center Island, Pantry, Granite Counters, Stainless Appliances And A Delightful Window Seat. Large Combined Living Room/Dining Area. Master Bedroom With Ensuite. 2 Additional Bedrooms Complete The Unit. Both Bathrooms Recently Remodeled As Well. Warm, Antique Hardwood Floors Throughout. Enjoy Your Morning Coffee Or Cocktails On The Large Covered Deck With Old Fashioned Porch Swing. Don't Miss Out On This Picture Perfect Unit!